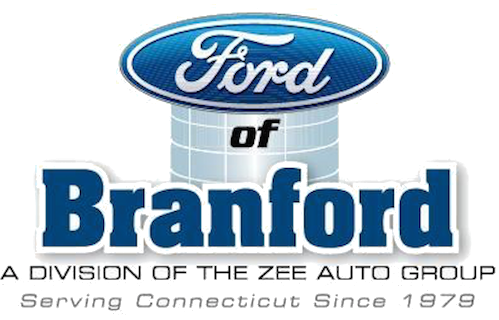 5:45 – 6:45 p.m. ~ Branford High School Choir, directed by Mike Martone Jr. Furious George plays everybody’s favorite music from the 60’s right up through today.They’ve shared the stage with big name artists like Los Lobos and Gavin DeGraw and can be found playing for some of the nicest people at some of the best establishments around. Furious George Is: Steve Johnson, Dave Zold, Kevin Finn and George Shea have been making music for over six years and have established themselves as one of the areas top-tier cover bands with club owners and fans alike. Over the years Damn The Torpedoes has evolved with a deeper understanding of the Tom Petty catalog and more committed members. The current lineup has been in place for several years and demonstrates the unspoken chemistry that makes any great band. All of the signature riffs, harmonies and underlying parts of the music are there—-and the show has become “second nature” with an artistry and emotion that makes audiences smile. Or as Rich likes to say, we deliver the “awe factor” in every performance. Today’s best Country, and some blast’s from the past too! Before they were The Lords of 52nd Street, you could find them playing at local clubs in Long Island under the band name, “Topper.” Topper was a 1960s high school rock and roll band originally formed by, Russell Javors on guitar and vocals, Doug Stegmeyer on bass, and Liberty DeVitto on drums. The band was drawing a large audience at the time, but bassist Doug Stegmeyer quickly flew out to California to audition for the “Piano Man,” Mr. Billy Joel. Joel was looking to form a new band that will record and tour with him regularly. Stegmeyer was immediately accepted into the Billy Joel Band, and Joel asked if Stegmeyer knew of any other players, specifically a New York style drummer. Stegmeyer told Joel, “You know them,” and recommended his Topper band mates, Russell Javors and Liberty DeVitto, for the part. DeVitto frequently played gigs with Joel’s high school band “The Hassles” at Plainview’s My House. To say the least, Joel and DeVitto were not foreign to each other’s playing. No one ever expected these musicians would cross paths again, and help form one of pop music’s most famous bands. Joel, Stegmeyer, DeVitto and Javors recorded the tune a day earlier, and Cannata was blown away by their experienced playing and speed. Cannata went into the studio and immediately recorded the unforgettable Empire State love song, “New York State of Mind.” What made the music on this album so special, were the dedicated and loyal New York musicians behind its creation. The Turnstiles album was a huge success because Joel and his new recording and touring band performed the songs with such a fresh, and young driven beat. DeVitto, Javors and Cannata blew away audiences with their playing, and helped Joel sell millions of albums. The band went from playing local colleges and universities across the nation to performing at the world’s most famous arena, Madison Square Garden. After the success of the Turnstiles album, Joel and the band began looking for a music producer for their next album. George Martin, the legendary Beatles record producer, offered Billy Joel a record deal, but he informed Joel he wanted to record with studio musicians. Joel would not create this new album without The Lords of 52nd Street, so he told Martin, “Love me. Love my band.” Joel turned down The Beatles’ record producer, George Martin, and was pleased to work with the legendary, Phil Ramone. Phil Ramone and Joel coined DeVitto, Cannata, Javors and Stegmeyer as The Lords of 52nd Street, and went into Columbia Studios to record, “The Stranger.” The album was a commercial success, it holds a RIAA diamond certification (10x platinum), and several #1 singles including, Only The Good Die Young and Just The Way You Are. The Lords of 52nd Street, along side the Piano Man, led an international tour, and performed at famous venues including, Wembley Stadium, Royal Albert Hall, the Sydney Opera House, Nassau Coliseum, Madison Square Garden, Carnegie Hall, Budokan, the LA Forum and many others. The band also performed on NBC’s “Saturday Night Live” and on the BBC’s “The Old Grey Whistle Test” television program back in the 1978. The Lords of 52nd Street helped Joel establish a popular music career, and the opportunity to perform and record in the most prestigious settings. Joel and The Lords of 52nd Street returned to the studio, and recorded Grammy award winning albums including, 52nd Street, Glass Houses, and The Nylon Curtain, The band recorded and toured with Joel for over a decade, and it wasn’t until their induction into the Long Island Music Hall of Fame where they decided to reunite after a 30-year separation. After their 2014 hall of fame induction, The Lords of 52nd Street picked up their instruments yet again, and began performing in front of live audiences together. The Lords finally returned to the stage to a sold out crowd at The Space at Westbury in February 2016. Critics adored the band, and their performance blew away fans of all ages. The Lords of 52nd Street are touring regularly since their return in early 2016, and they do not plan on stopping anytime soon. Fans declared that The Lords’ live performances sound just like the original recordings with Billy Joel, if not better. The Lords of 52nd Street perform regularly for live audiences in public and private events, and continue to awe fans from around the world. They are New York’s favorite band, they sold more than 150 million records, they helped establish Billy Joel’s formidable sound, and they continue to perform their legendary hits still to this day. Look no further; The Lords of 52nd Street are here! 12:00 A performance from the Dance Unlimited Dancers! Wagner Iovanna Studio Performances (WISP) is a non-profit theatre education program providing Broadway-caliber training through performance to people of all ages and skill levels throughout Connecticut. WISP offers a platform for those wanting a career in the performing arts to gain much needed exposure, experience and the necessary direction through the rehearsal/performance process, workshops with industry professionals and casting agents and managers. 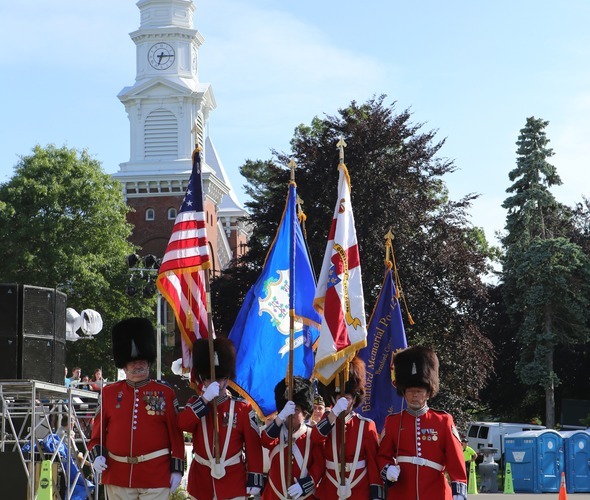 Tabor Arts Branford will close out The Branford Festival on Sunday, June 17th. Students from the cast of Peter Pan will sing selections from the show in addition to other Disney favorites. Under the direction of Jamie Petrone and Colin Sheehan. For more information on programming, music lessons, and everything else offered at Tabor Arts Branford, please visit TaborArtsBranford.com.